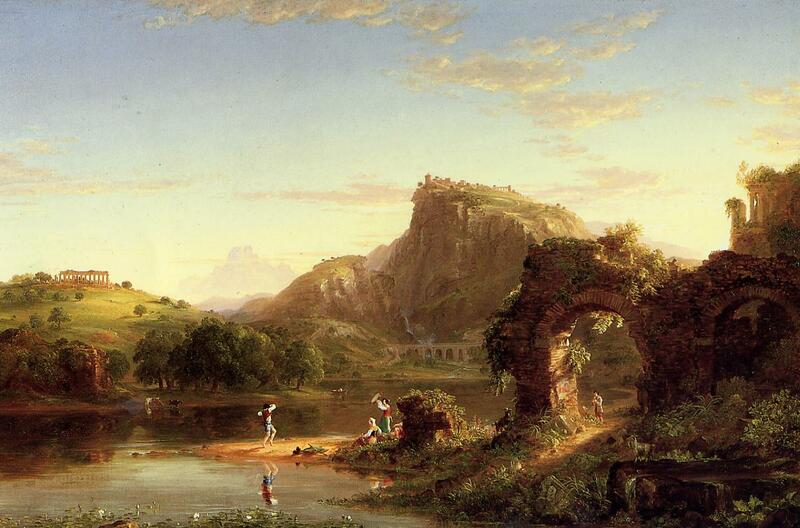 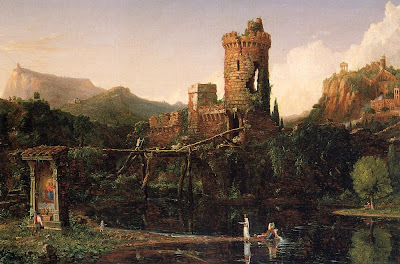 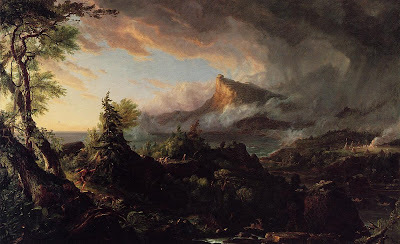 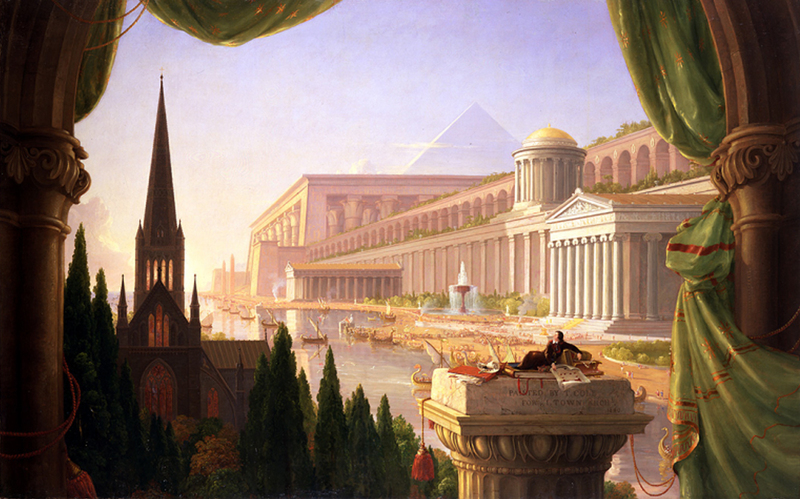 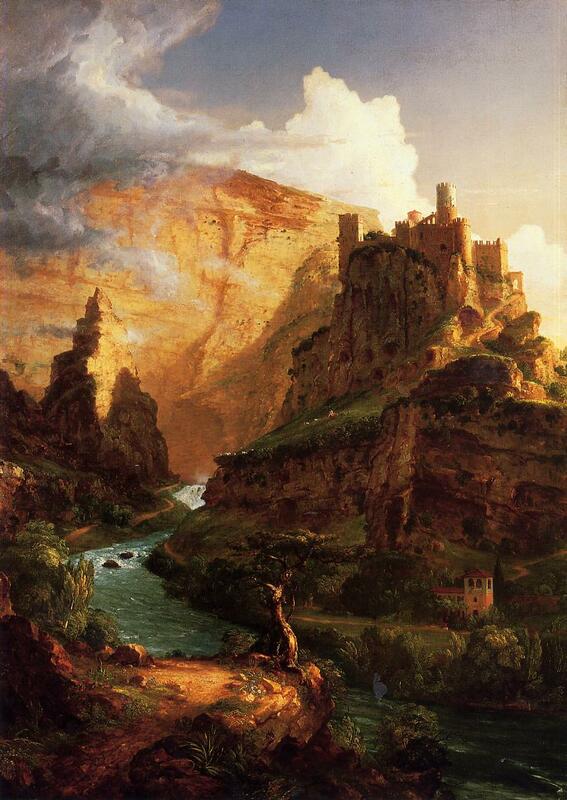 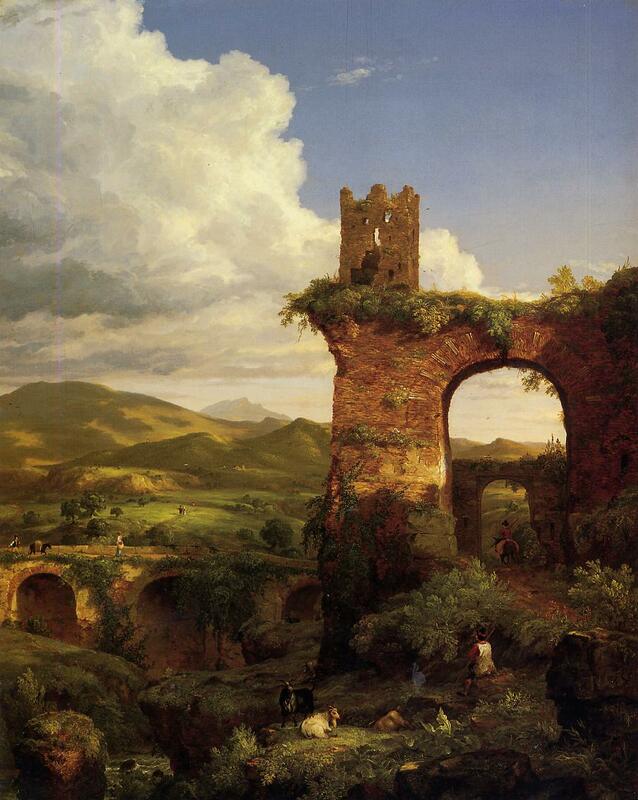 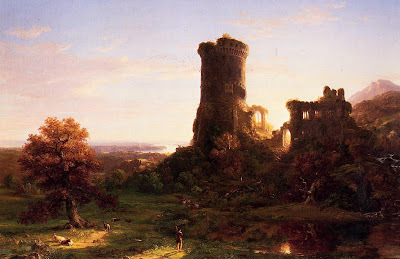 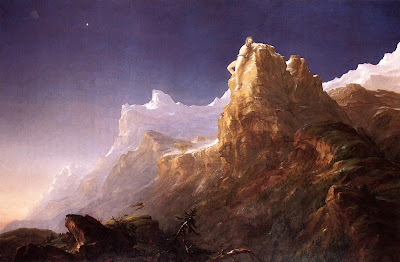 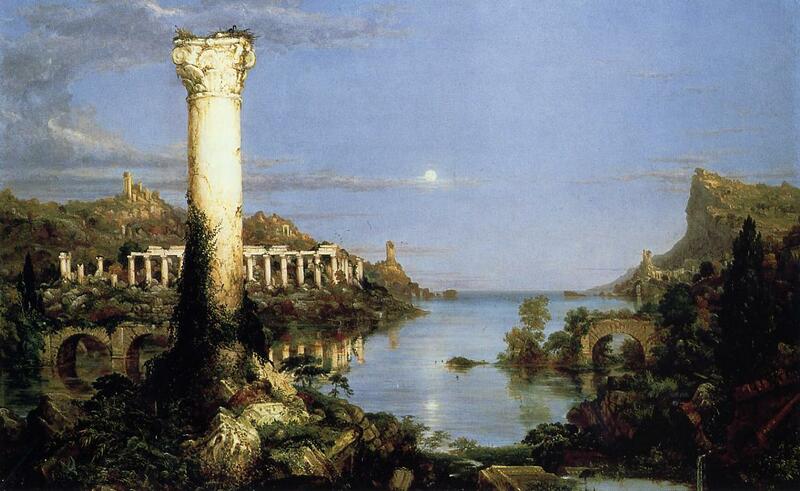 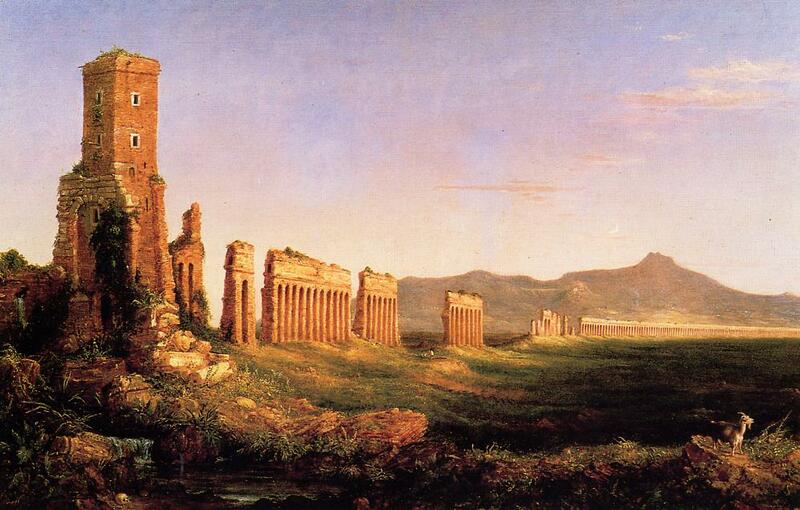 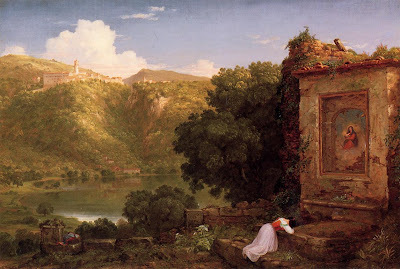 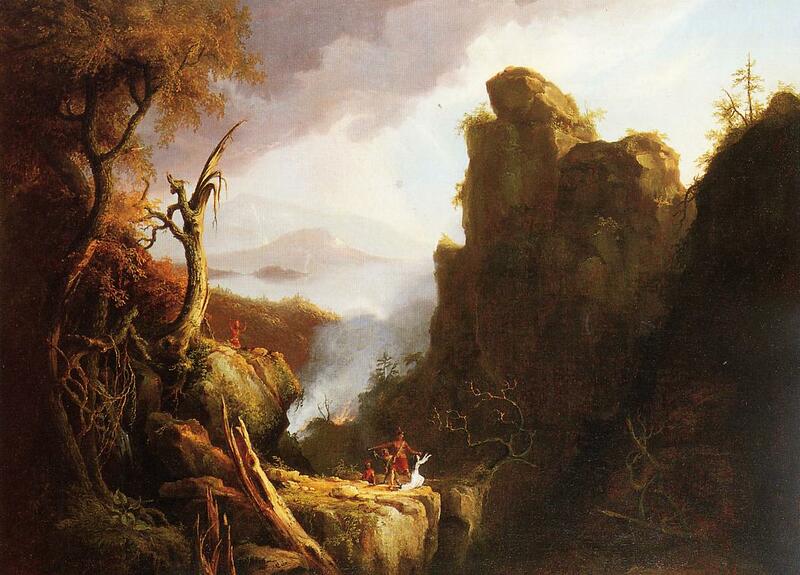 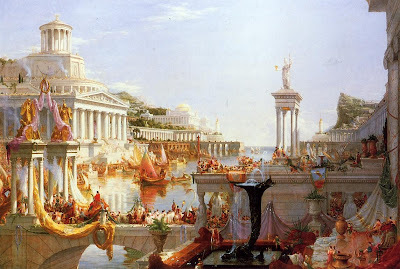 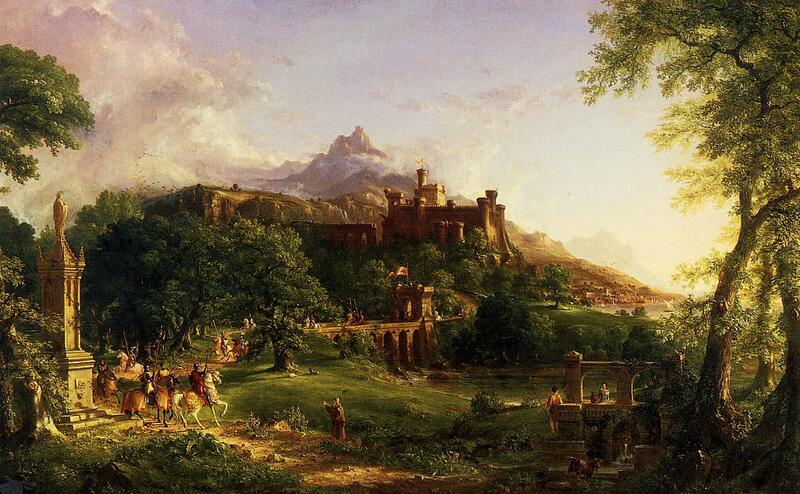 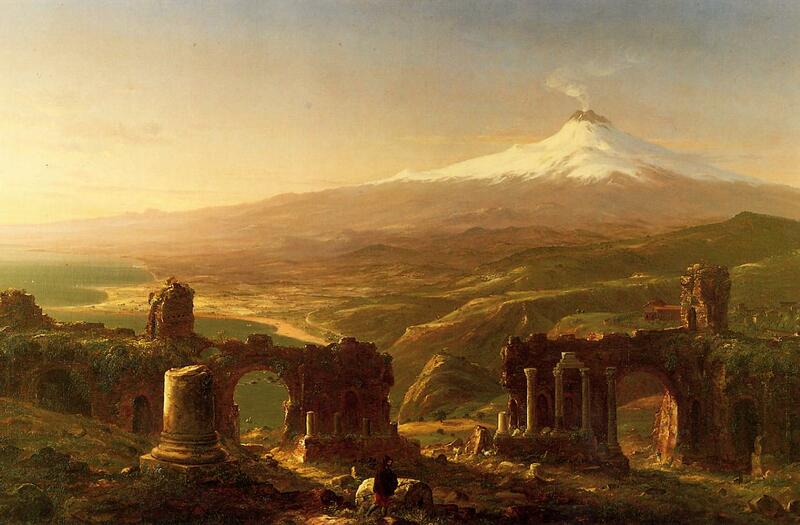 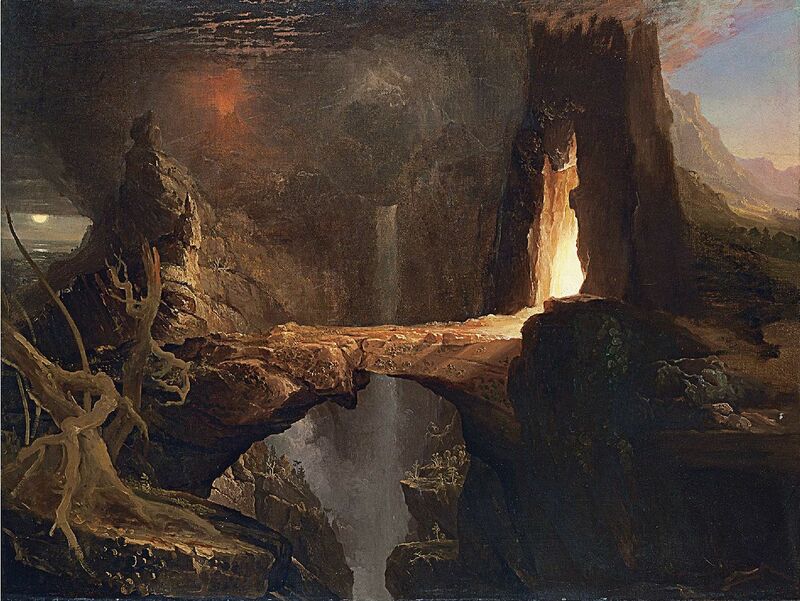 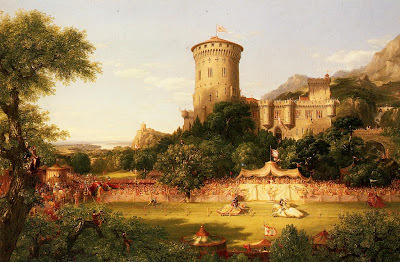 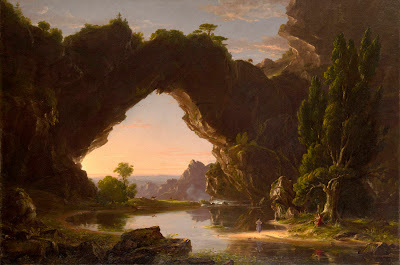 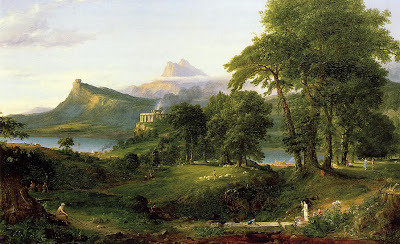 Thomas Cole (1801-1848) ,pintor estadounidense de origen británico. 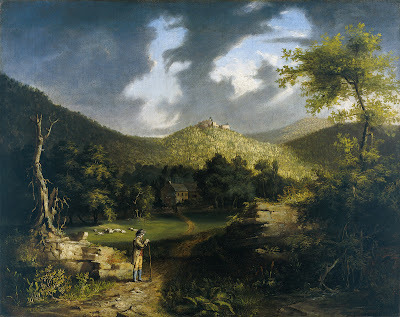 A View of Fort Putnam.1825. 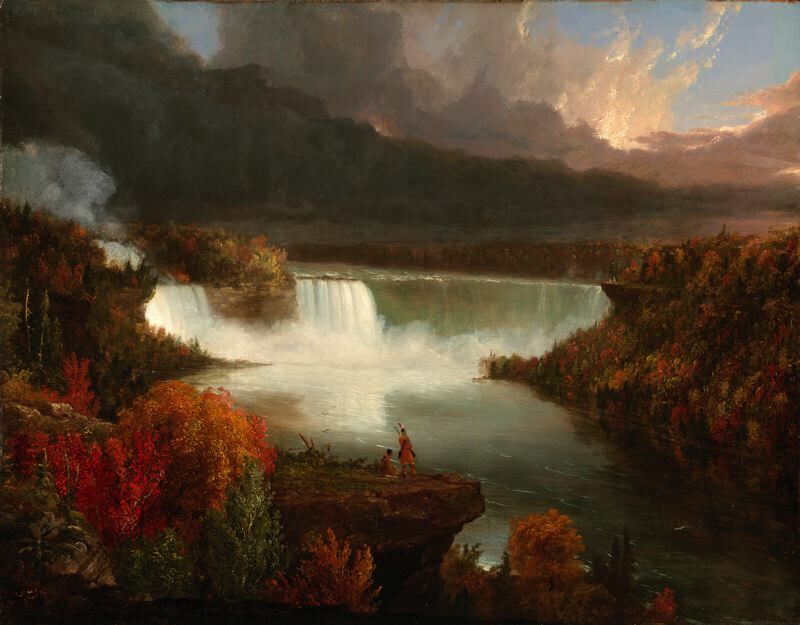 Distant View of Niagara Falls.1830. 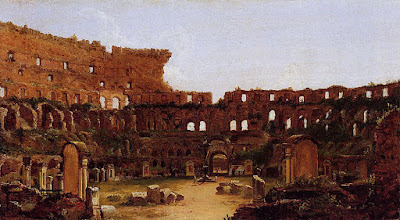 Interior of the Colosseum Rome.1832. 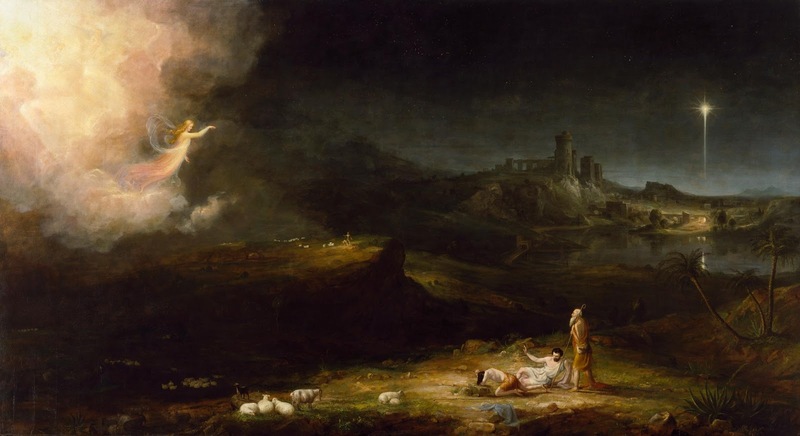 The Angel Appearing to the Shepherds.1833-34. 2.-The Arcadian or Pastoral State. 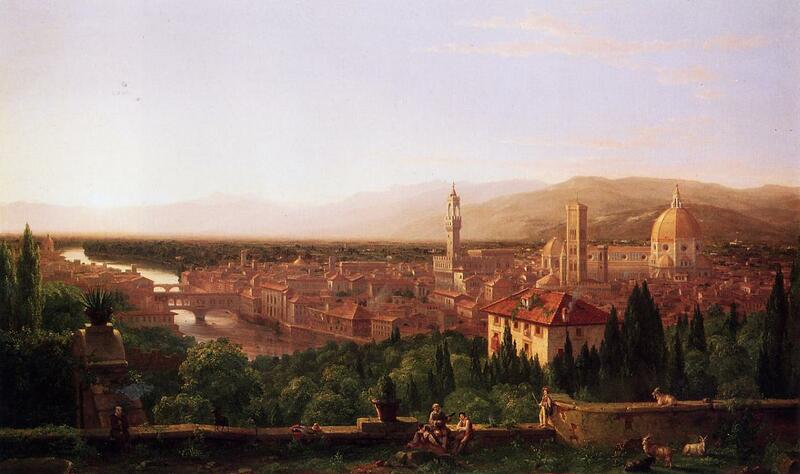 View of Florence from San Miniato.1837. 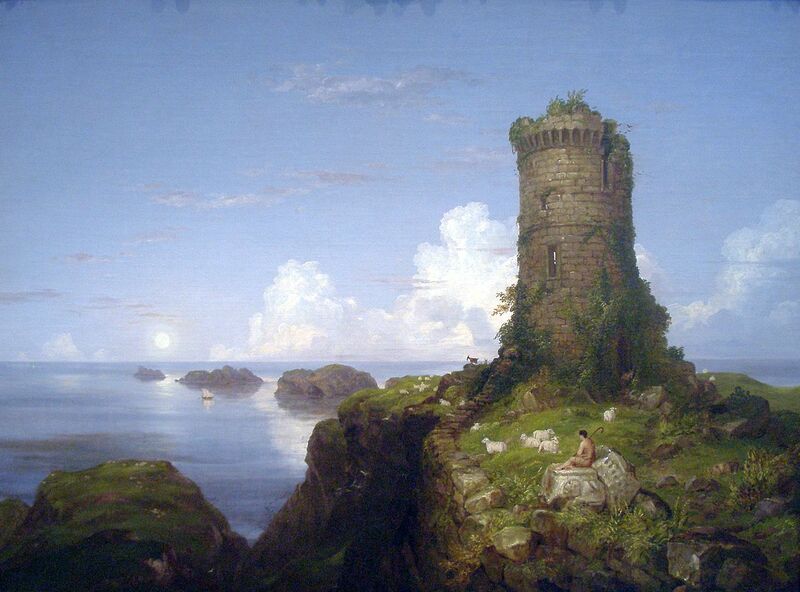 Italian Coast Scene with Ruined Tower.1838. 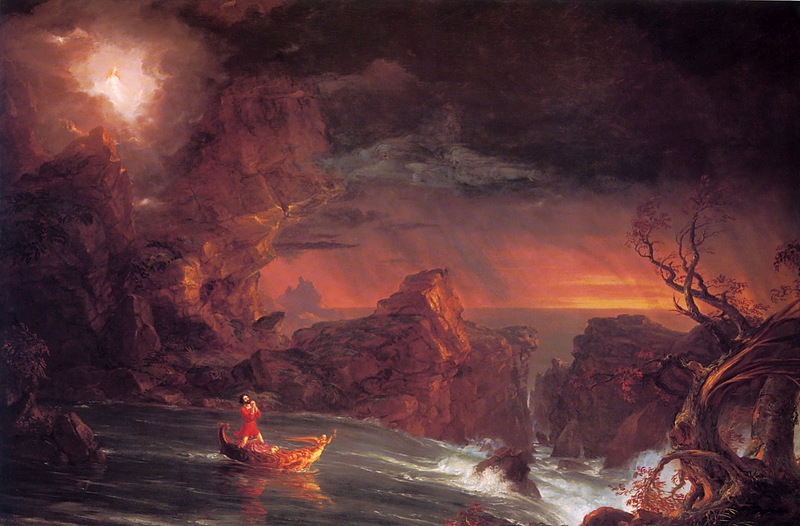 The Voyage of Life.- Manhood.1842.